New Orleans wasn't exactly renowned for its overload of resident R&B vocal groups. 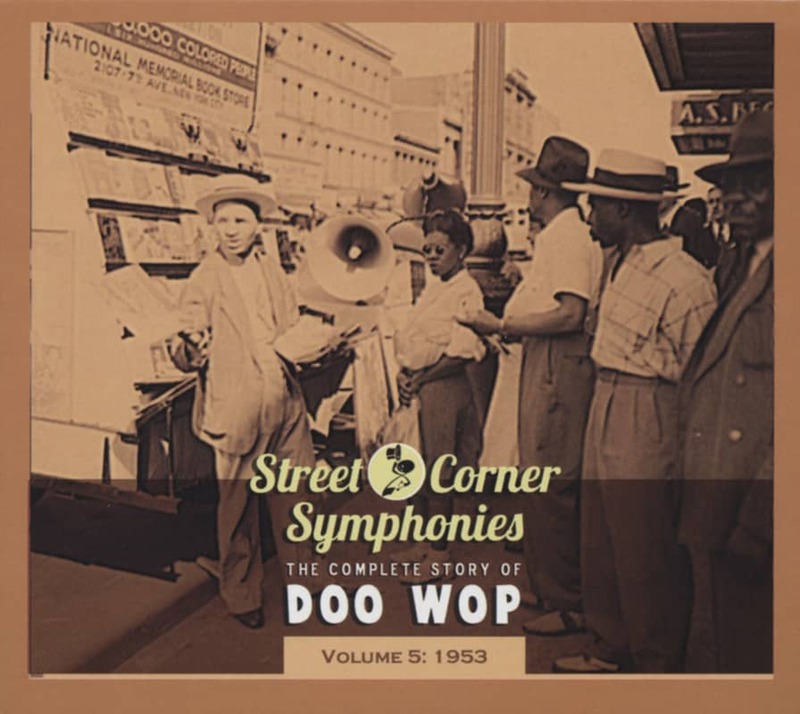 The Crescent City seemingly preferred solo singers to front its infectious second-line rhythms. But a few good ones called the Big Easy home, none better or more commercially prosperous than The Spiders. The Spiders revolved around brothers Hayward 'Chuck' Carbo (born January 11, 1926), second tenor and lead, and Leonard 'Chick' Carbo (born December 28, 1927), bass and lead, both born in Houma, Louisiana before their religious family moved to New Orleans in 1932. Gospel was their first love; during the late '40s, they joined The Zion Harmonizers, where they encountered baritone Matthew 'Mac' West (born March 8, 1926) and bass Oliver Howard. Along with first tenor Joe Mixon, they put together The Delta Southernaires during the early '50s, securing a weekly program on WWEZ radio. Their big break came in late '53 when Leonard was overheard playing the piano of Phyllis Boone while moving her belongings. Boone worked for Cosimo Matassa, whose J&M Studio was the only such facility in New Orleans; everyone from Fats Domino and Smiley Lewis to Lloyd Price and Shirley & Lee cut hits there. The Southernaires auditioned for Matassa with a gospel number, Bye And Bye, but Cos asked them to change it to a blues if they had any interest in recording. "There was a religious group that I converted to pop, the Spiders," says Matassa, who would manage the newcomers with Boone. The Southernaires huddled with local guitarist Adolph Smith. He wrote them two gems: the luxurious You're The One and a risqué I Didn't Want To Do It. 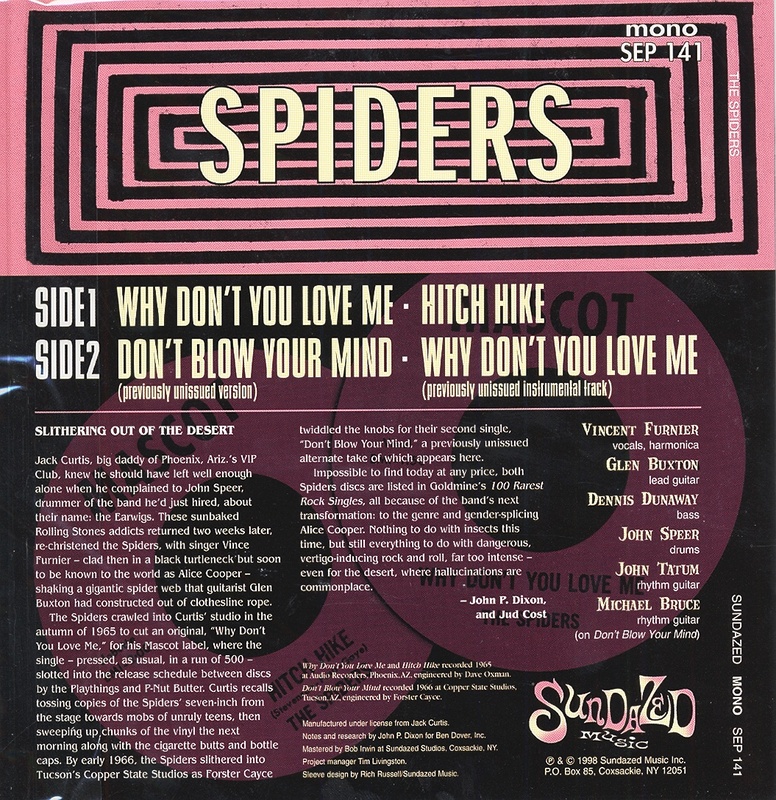 Though reluctant to enter the secular arena, the group - named The Spiders by Chuck's wife Gloria, who noticed a spider shimmying up their garage wall - cut Smith's songs at a December 11, 1953 J&M session for Lew Chudd's L.A.-based Imperial Records. Chuck fronted both tunes (a pair of spirituals were cut but shelved), backed by Cosimo's house band, including tenor saxist Lee Allen and drummer Earl Palmer. Both sides of The Spiders' Imperial debut were smashes. I Didn't Want To Do It broke first in February of '54, shooting up to #3 on 'Billboard's' R&B 'Juke Box' and 'Best Seller' charts. You're The One followed a similar trajectory that April, stopping at #8 on the 'Best Seller' and #9 on the 'Juke Box' lists. Despite hoping to remain in the gospel field, The Southernaires were toast on that front the second local deejay Jack the Cat let it slip on the air that they were The Spiders. They wouldn't have had much time to musically praise the Lord anyway. With their two-sided hit, The Spiders were instantly the Crescent City's top R&B group. 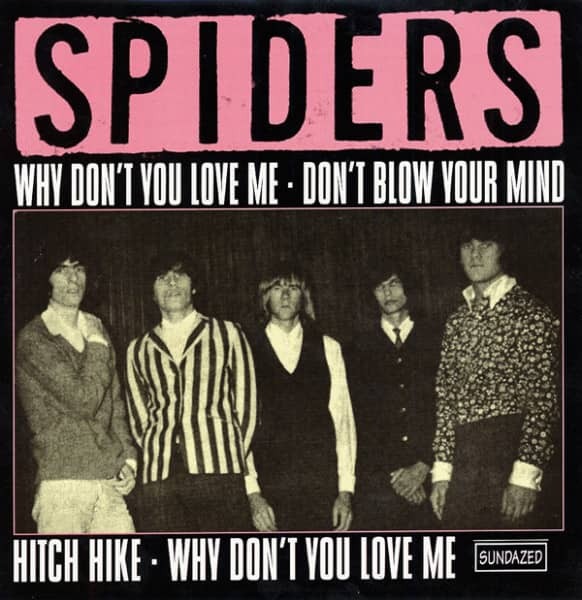 Customer evaluation for "Why Don't You Love me 7inch, 45rpm EP"